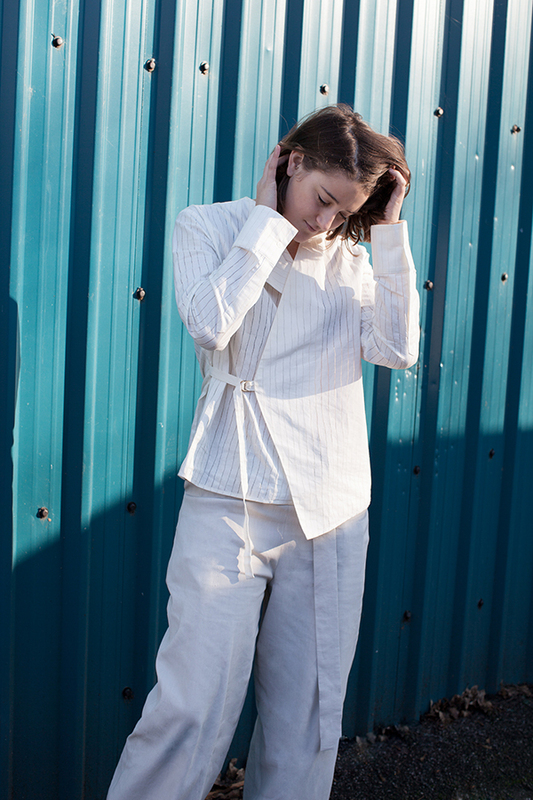 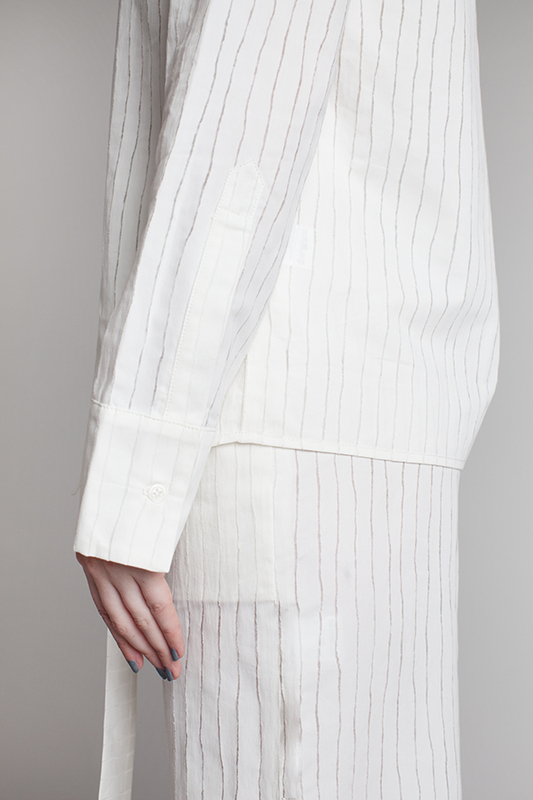 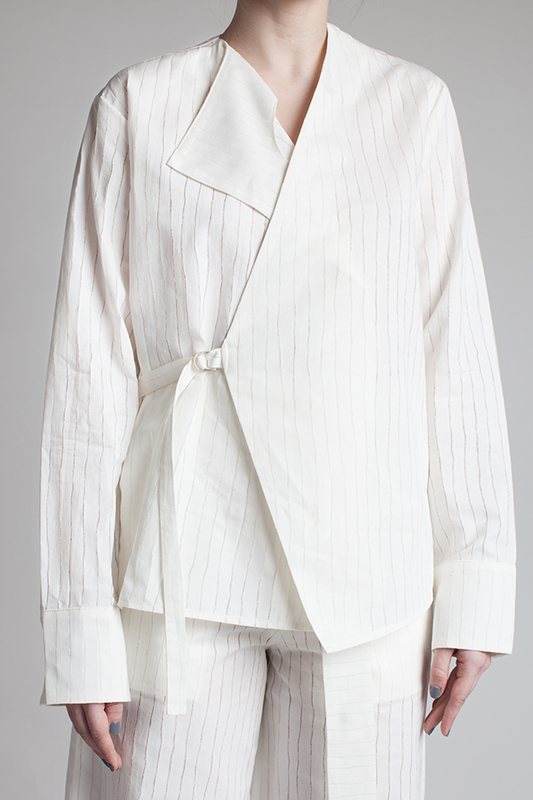 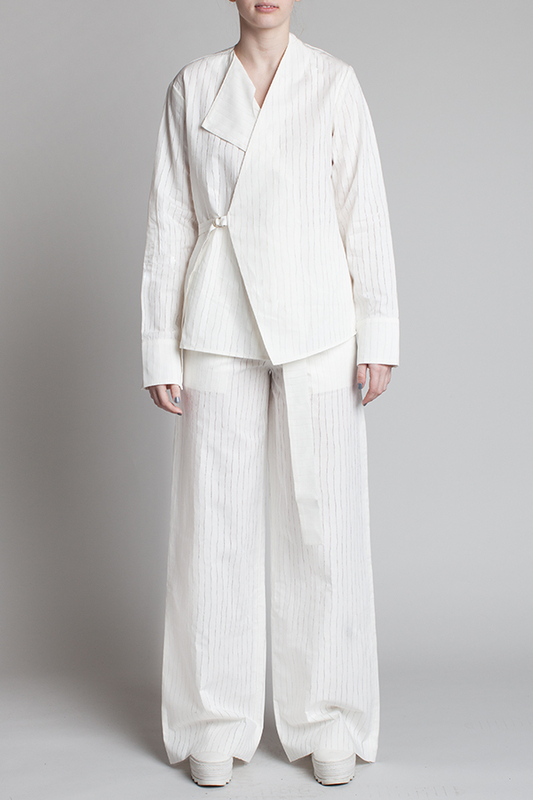 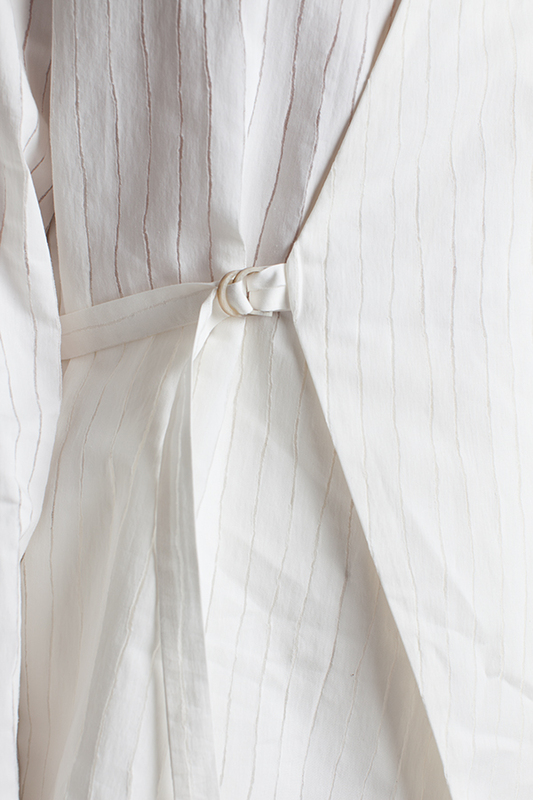 Striped devore cotton asymmetric wrap shirt with delicate horn d ring belt closure. 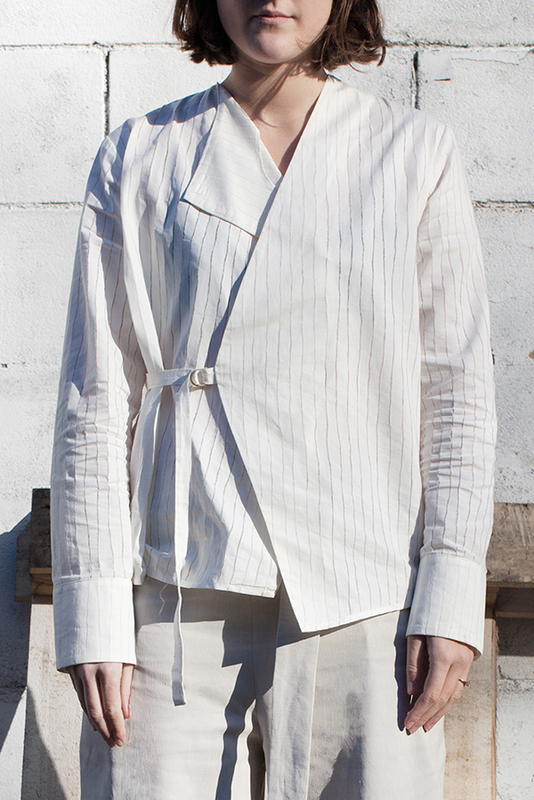 Under layer can be worn folded over or tucked in. 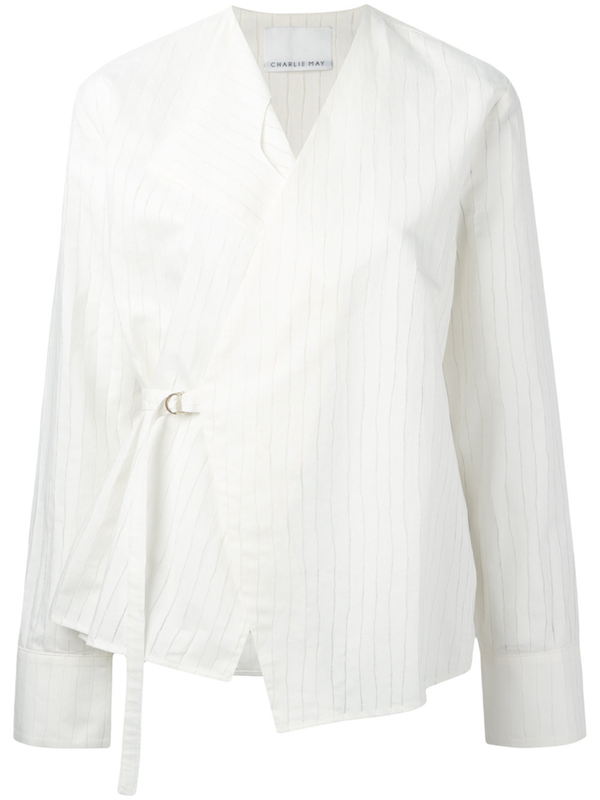 Dry Clean or machine wash gentle cycle with similar colours. 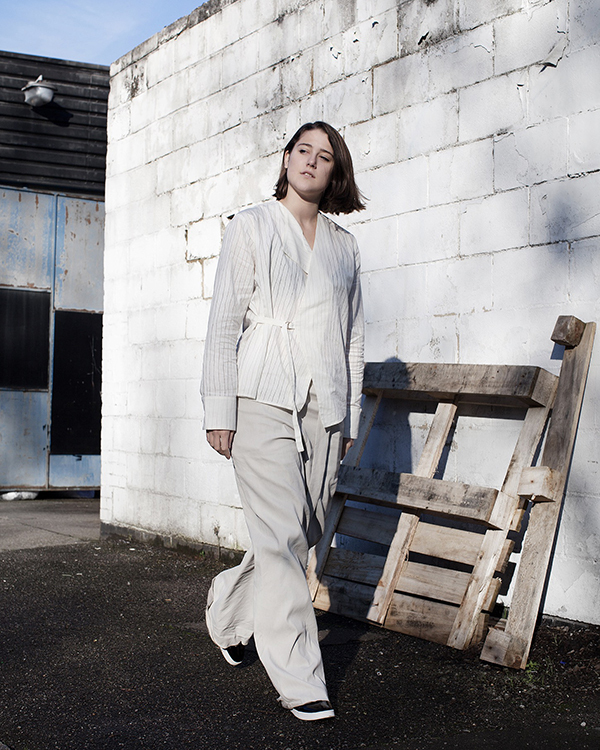 Model is a size UK6 and wears a 6.